Chanteur et pianiste Country US né en 1927 à Forest Hill (Louisiane). Wiley Barkdull joua à la Radio KSIG de Crowley, puis en 1956 sur KCLP de Lakes Charles (Louisiane). En 1957, Wiley se produisit avec les "Starlighters". Il accompagna aussi Al Terry, Bill Hutto et les frères Kershaws. Il a enregistré pour Feature (54 ? 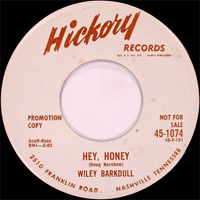 ), Hickory (55-59) et Allstar Records (60). US Country Singer and pianist born in 1927 in Forest Hill (Louisiana). 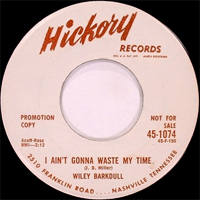 Wiley Barkdull played Radio KSIG of Crowley, then in 1956 on KCLP of Lakes Charles (Louisiana). 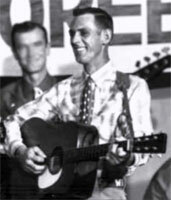 In 1957, Wiley occurred with the " Starlighters ". 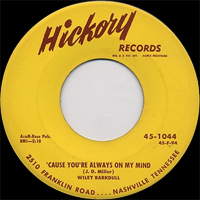 He accompanied also Al Terry, Bill Hutto and the Kershaws brothers. He recorded for Feature (54? ), Hickory (55-59) and Allstar Records (60).